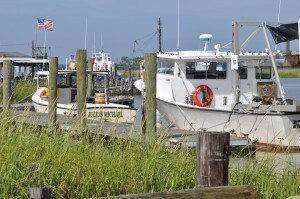 Money Island has deep water boat slips are available for use from early spring striper and perch season to the end of fall striper season that may stretch to December 31. The docks are open as long as there is no ice. Docks are closed and unsafe in the presence of ice. This long boat slip availability is unique to Money Island. Basic slip rental includes fresh water outlet. Electric is available at some locations but is not included in the standard slip rental agreement. Electric is available now on the commercial docks and can be installed at other locations by individual agreement. 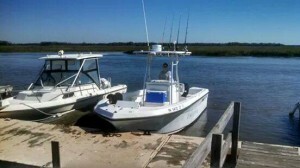 Seasonal: $1,000 to $1,200 for most bay boats, depending on size and location. Dockage for boats 25-100+ foot are individually negotiated. Occasional promotional pricing may apply. 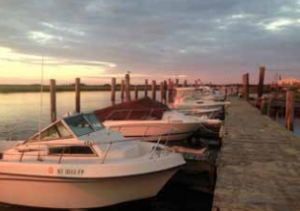 We have two sections of dock exclusively for commercial boats. Terms are negotiated individually. Watermen now have the option of docking without a fee in exchange for support of the new local harvester’s cooperative.